In most if not in all closed arenas, the main building is made from hard surface materials like concrete, so coverage is limited from entrance to within the venue, inside the tunnel or locker rooms, and behind grand stands (concourse area). The nature of dynamics in a closed arena, whereas people are exited, shouting loud, waving and clapping, thus creating extra noise that is amplified in closed arenas. Many smartphone devices, large number of seats (under 50K), network DAS Antennas, microphones, etc. will cause expected wireless interferences. ABonAir offers the perfect solution based on the deployment of a Fiber Coverage Extender anywhere within the arena, venue, tunnel or locker room. 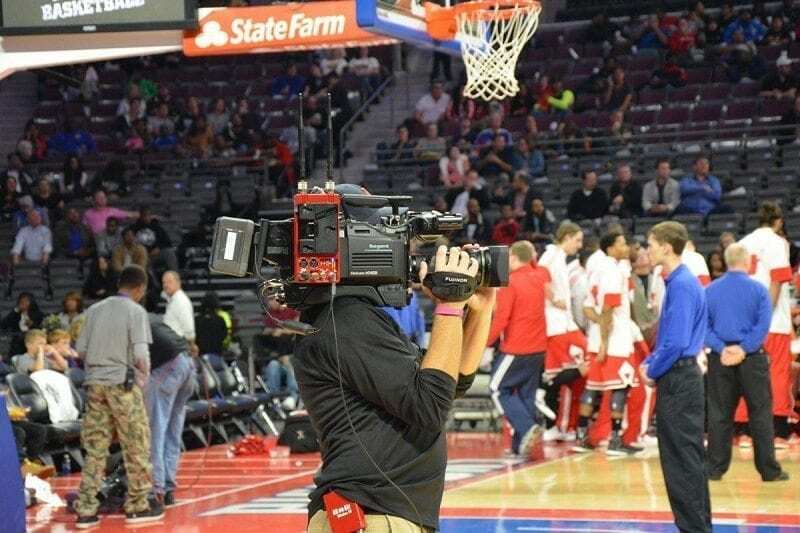 A Fiber Coverage Extender can cover 100% of the venue with a robust signal, aggregating signal bounce from walls (MIMO radio), and flexibility of shooting angles and locations within the arena. The system also offers full Camera Control (RCP) for paint/shading, same as with wired cameras, and combined with high-quality video compression (H.264 high profile). 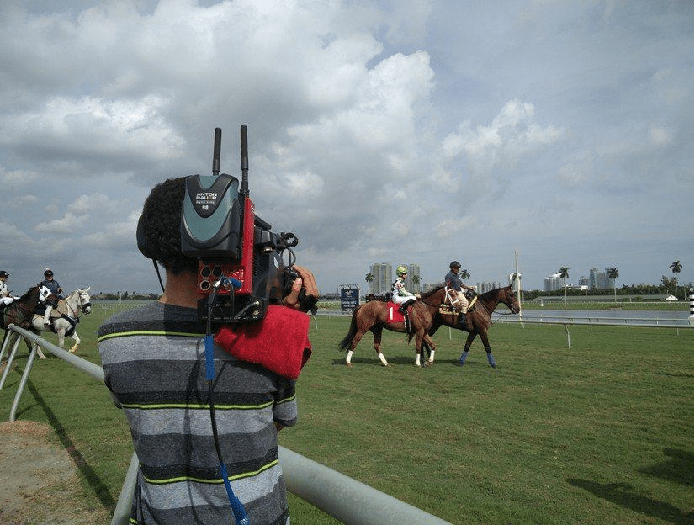 We recommend the AB507 (HD) for small arenas and the AB612 (4K) or AB512 (HD) for large arenas. Fiber Coverage Extender enabling antenna deployment anywhere within the arena including tunnel/locker room and optimal signal design based on structure of the venue. The ABonAir solution provides excellent coverage for indoor/outdoor deployment and for OB Truck or control room fiber patch to receiver. Solution includes full Camera Control (RCP) for paint/shading the same as with wired cameras, with high quality video compression (H.264 high profile). 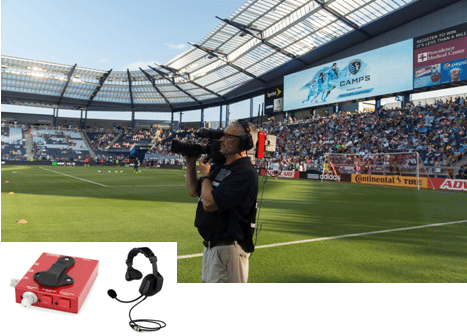 We recommend the AB507 (HD) for small stadiums and the AB612 (4K) or AB512 (HD) for large stadiums with the Fiber Coverage Extender for best coverage of locker room and concession areas. ABonAir offers the perfect solution based on the deployment of a Fiber Coverage Extender with multi zone coverage and daisy chain antennas, including indoor/outdoor coverage based on field layout of the venue. Using single-mode fiber infrastructure to connect several sites to a receiver control room or OB Truck). Solution includes full Camera Control (RCP) for paint/shading the same as with wired cameras, and combined with high quality video compression (H.264 high profile). We recommend the AB612 (4K) or the AB512 (HD) with a Fiber Coverage Extender for best coverage of multiple areas.